Ford extensively used focus groups when it redesigned the Explorer in 2011. Ford will be rolling out a significant update of one of its existing SUVs in the near future, but before it takes such a major step the company this week is using a series of Ford focus groups to elicit feedback from one of one of its most critical customer bases : Denver metro-area drivers. Because of tricky mountain driving conditions, particularly in the winter, and high altitudes that dictate peak engine performance, Ford finds Denver drivers who venture up into the mountains on a regular basis have a very good handle on what makes for a high-quality SUV design. 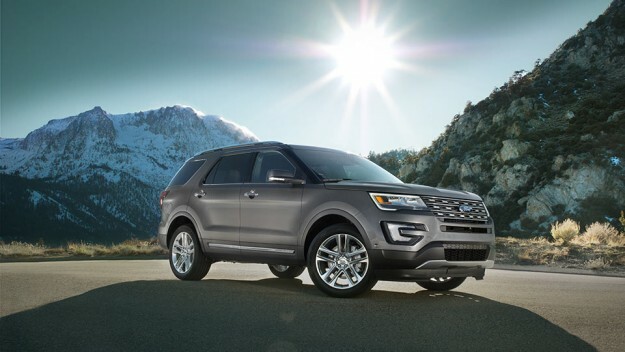 For instance, when Ford was redesigning Explorer for the 2011 model year, the company in 2009 chose Denver as one of only two markets to conduct focus groups and get input on how Coloradans drive their SUVs and what they look for in a sports utility vehicle. Ford was back in Denver this week, first holding a rally with its Colorado sales force and then conducting focus groups with potential buyers of its redesigned SUV (officials could not discuss details for proprietary reasons). Traction and handling in winter weather are obviously two huge factors dictating SUV purchases in the Denver area and throughout Colorado. All-wheel drive or four-wheel drive vehicles account for 72 percent of the vehicles sold in Colorado compared to 38 percent nationwide. Colorado is 10th in the nation in volume for all-wheel and four-wheel drive sales, which is a very high number given the state’s relatively low population compared to states like New York and California. Still, traction and handling in snow and on rough terrain aren’t the only factors compelling Colorado drivers to purchase SUVs, according to Patterson, who was heading up the 2-hour focus groups of six to eight people this week. “We all think that we’re really rational buyers like Spock and nothing but logical and we go through a check list and make the best rational choice,” Patterson said.” But that’s just not the case. For example, Patterson, who also helped conduct the Explorer focus groups in 2009, said the company assumed back then that most people were driven by gas mileage concerns at a time when gas prices were going through the roof and SUV sales were dropping precipitously. At its peak in 2000, Ford was selling 400,000 Explorers a year, but by 2010 the company was only selling 10 percent of that number, or about 40,000 a year. All the rage at the time was the crossover – a sort of car-SUV hybrid built on a car platform. But the 2009 focus groups discovered that customers in Colorado really still wanted an SUV look, higher clearance and “real” four-wheel drive, meaning a traction-control system they could engage with a switch on the dash rather than full-time all-wheel drive. Two people are selected from each focus group to do a home visit from Ford’s marketing team to see how they live their lives, how they drive their cars and how they recreate and use their vehicles for work and play. The more intensive interview subjects receive a stipend and have their sessions videotaped for broader use. Patterson said there’s a segment of the market that wants an SUV for hauling kids and gear but will not drive a minivan for image reasons, especially women. Men tend to be resigned to the utility of a minivan if they’ve reached a certain stage of life and need one for family reasons. But men, even family men, still do like their SUVs, and they want them for a variety of reasons – many of them associated with outdoor experiences. For instance, 45 to 50 percent order a tow package for their SUV – to haul snowmobiles, boats or ATVs — and less than 15 percent actually use it. However, there seems to be some satisfaction in knowing they can tow something if they need to.